Welcome to the 29th Annual Heritage Days! Heritage Days is Boonville’s birthday party and we are celebrating 179 years—thank you for participating! Note: Performances or demonstrations are only allowed in front of the announcers stand (corner of Main & Spring) and are limited to TWO MINUTES maximum. Please make a note on the application if you plan a performance or demonstration. This will help us keep the parade in motion. Reservations: Parade application must be received by June 15, 2018. If you need to cancel, please contact the Chamber office as soon as possible. Set Up Time: Check in begins at 7:30 a.m. Participants are to be in place by 9:00 a.m. Check in by the canopy on the north side the Police Station to get your number and location. Maps of the staging area will be handed out at this time. Number will be assigned the day of the parade. 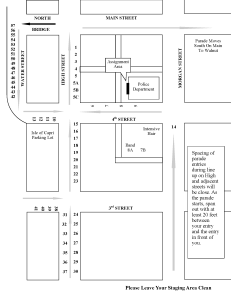 Parade Route: The parade will begin at High and Main Streets. It will run south to Walnut Street. 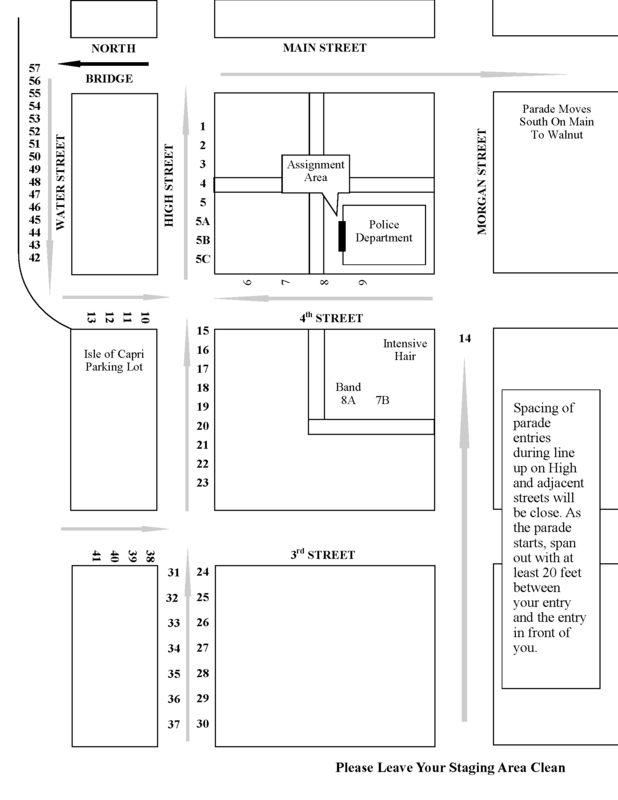 Parade Information: Provide a detailed, and readable, description of your entry. (A typed page attached to the application or an electronic version emailed is preferred.) An announcer will read each entry. Judges will vote for the top entries. No prizes are awarded. Winning entries are given recognition in the media and Chamber communications. Note: Spacing of parade entries during line up on High and adjacent streets will be close. As the parade starts, span out with at least 20 feet between your entry and the entry in front of you. Please Leave Your Staging Area Clean. Saturday, June 23, 2018 — 10:00 a.m. Please complete the following with detailed information as this form will be used by both the parade announcers and judges. PLEASE PRINT YOUR INFORMATION. RETURN FORM BY JUNE 15th. Check in by the canopy on the north side the Police Station to get your number and location. Check in begins at 7:30 a.m. Participants are to be in place by 9:00 a.m. The parade begins at High & Main Streets and ends at Walnut Street. Description: This is what will be read by the announcer—please give exact, detailed information. WAIVER: We hereby release and hold harmless Boonville Heritage Days Committee, Boonville Area Chamber of Commerce, City of Boonville, event sponsors, volunteers, employees, agents, assigns, and anyone acting on behalf of the above from any liability for damages, injury, theft, loss, or other detriment of any kind whatsoever to our persons, property, family, guests, employees, agents, or assigns, by way of our participation in this event.